The Creative Quarter is working in collaboration with Nottingham-based digital marketing agency, Adtrak, to deliver a series of networking and workshop events for creative and digital businesses. As part of The Big House programme, the events will be hosted throughout May and June, and Adtrak will be offering its expert design, digital marketing and photography advice to a range of local businesses. From developing potential business ideas, nurturing start-ups and new entrepreneurs, to working with established business wanting to grow, its partner network provides specialist support. Businesses can access grants, 1-2-1 mentoring, networking events and workshops to help build contacts, skills and knowledge to succeed. To launch the collaboration, and kick off the series of events, The Big House will be hosting one of its popular networking evenings at Adtrak on Thursday 3rd May. 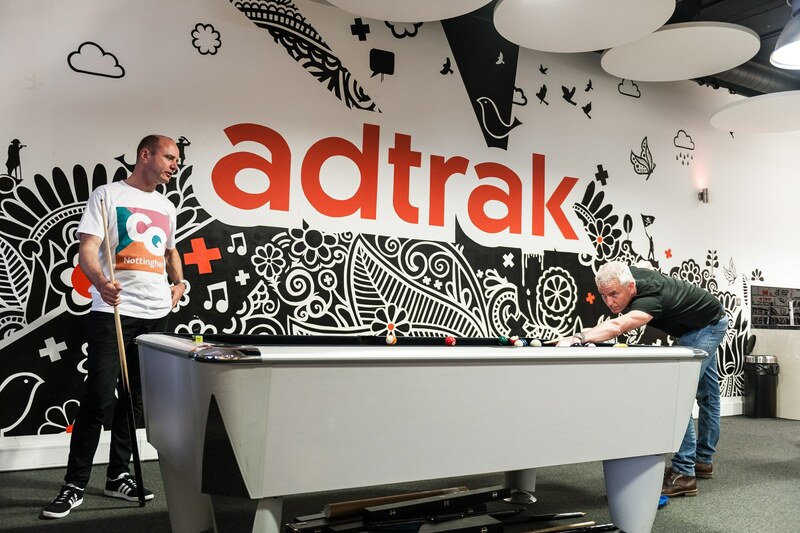 ‘Games Night with Adtrak’ will make the most of Adtrak’s pool table, ping pong table and football table. Guests will be invited to join in with some friendly competition, enjoy complimentary food and drink and also drop-in to the Adtrak Advice Bar to speak with any of the company’s marketing experts one-on-one.